Today, I tried to translate in game UItext to Japanese. I love this game. I finished all campaigns. But It is difficult to read all UItext quickly during the game, so I decided to try to translation. I found some csv files of in game text at "Steam\steamapps\common\Ashes of the Singularity Escalation\Assets\UIText"
First, I opened ”UnitText.csv" and edited that file, and saved that by Shift-JIS text encoded. 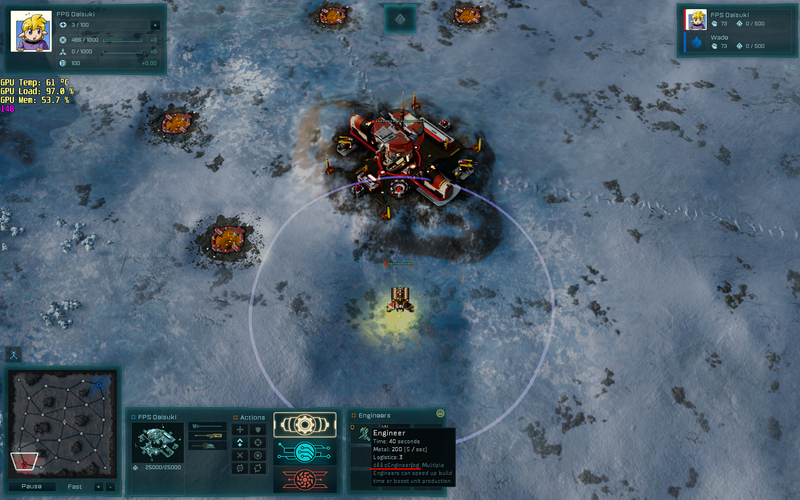 Then I tested in the skirmish mode. However, the part I rewrote was garbled. When I translate CSV files to Non-English languages, do I need some other font files? If so, which folder should I import the font file? I don't think the game supports japanese or chinese text. I can't even type japanese text in-game. Note sure about Ashes but, IIRC, the string file in Sins of a Solar Empire supported UTF-8 encoding. Maybe worth using that rather than Shift-JIS codepage encoding. I changed the CSV's format from Shift-JIS to UTF-8, but it didn't work out. Thank you for replying my post. 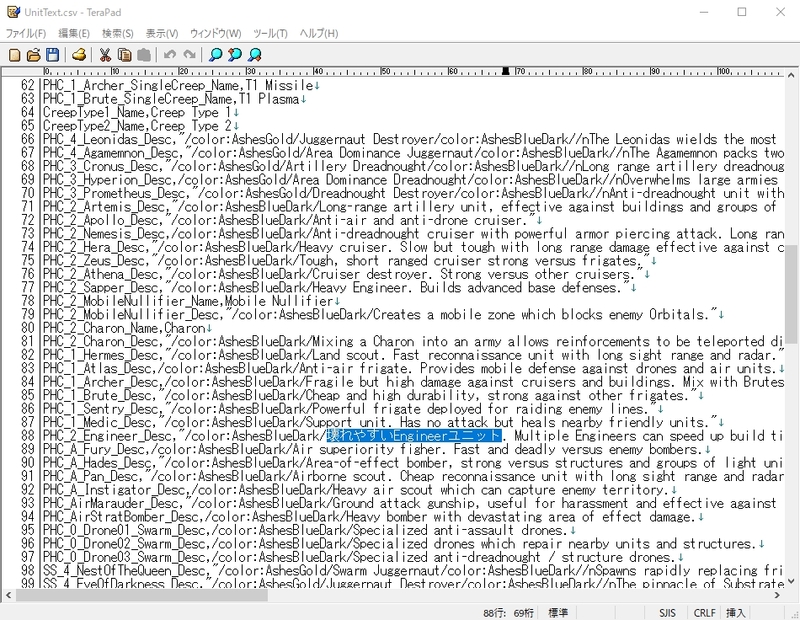 When Ashes of the Singularity 2 is released, I hope the game supports CJK text format.